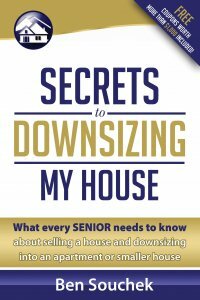 Ben with Home Downsizing Solutions by The Sierra Group, LLC describes how we assist owners of unwanted houses that have been inherited, or because an individual is the personal representative or has a power of attorney and needs to sell an unwanted house. Hi. I’m Ben Souchek with the Sierra Group and Home Downsizing Solutions. 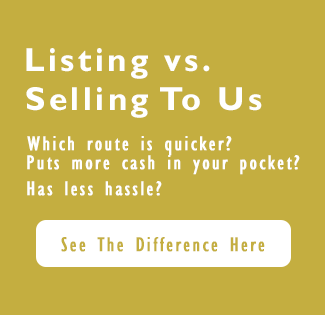 One of the common situations that we work with are sellers that have inherited a house or have become a personal representative or have a power of attorney for the seller and owner of a house in a town or city that is somewhere else besides where they are. We’ve worked with sellers before where they were hundreds of miles away from where the house was that needed to be sold. They had in some circumstances, they would travel back and forth to clean the house out, to make the house ready for a traditional sale, but we’ve talked to these individuals and really all they wanted to do was just sell the house. They knew they had an asset with the house, but they didn’t have the time to travel back and forth to another city to prepare a house for sale. They really didn’t care about the stuff in the house. They just wanted a simple, easy, stress free way to liquidate the property and move on with their lives so that they didn’t have to worry about a vacant house sitting that they were liable for. In these circumstances, they contacted my company Home Downsizing Solutions. We were able to look at the house and buy the house completely as is. They did not have to remove the stuff. We took care of the stuff for them. They did not have to do any repairs. They did not have to worry about showings or other hassles that can come with a traditional sale. They didn’t even need to come back and sign closing papers in some circumstances if they didn’t want to. Our title company would email and FedEx documents to them or from them, so they could remain right where they were. Their lives were not interrupted. So we just made it a very stress free, hassle free way for them to sell what, to them, was a problem, unwanted property and liquidate that property and keep it as an asset for them where they received the funds for the property, and, again, was able to make it a very stress free, hassle free way to sell a house. If you are in a situation where you’ve inherited a house or have a family situation that you’re responsible for a house in a different city and just want to liquidate the property and not have any hassles with that sale, please give us a call. Toll free 855-291-5005. That’s 855-291-5005 or just go to www.homedownsizingsolutions.com, and check us out. We would enjoy helping you any way that we can. Thank you.